John Berg has dedicated his life to breaking a sweat and reaping the rewards. Adopt his four rules to grow stronger, healthier, and happier every day. John Berg wants to talk about his bottle of Tylenol. He bought it six years ago for the same reason any of us buy a bottle of Tylenol: to get some temporary relief in the event of sudden soreness or nagging pain. Unfortunately for John, the purchase was a lousy investment, because he still hasn’t opened the bottle. “I haven’t gotten a headache in six years!” he proclaims. 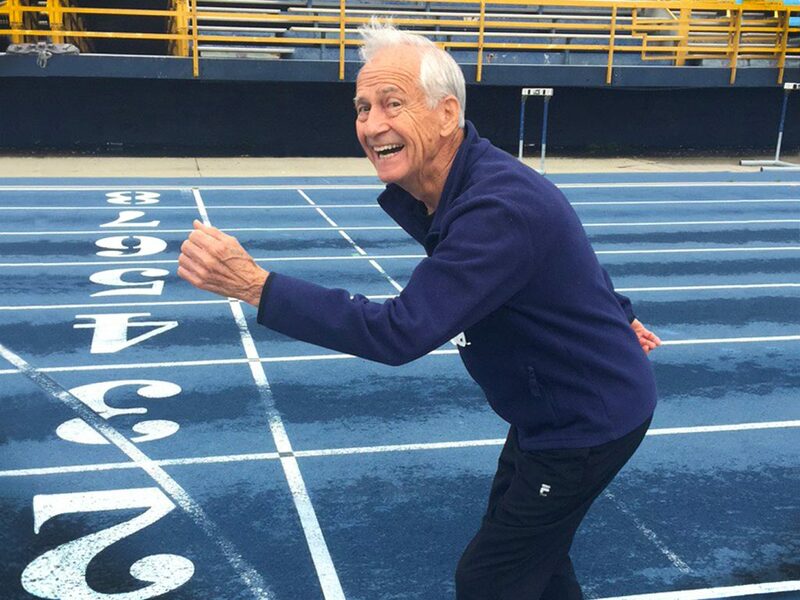 From his early days as a multisport athlete in Wisconsin to his myriad gold medals in the Greensboro Senior Games, John has dedicated his life to breaking a sweat and reaping the rewards. 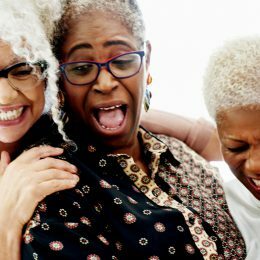 Steal these four rules from his playbook to grow stronger, healthier, and happier every day, no matter your age. Growing up in Marinette, Wisconsin, John was the kind of kid who was annoyingly good at every sport he tried. At age 5, he started competing in peewee ice skating, and by 18, he was a state champion speed skater. Soon after, he switched rinks to join his town’s figure skating club, “because that way, I got to skate with all the girls,” he jokes. 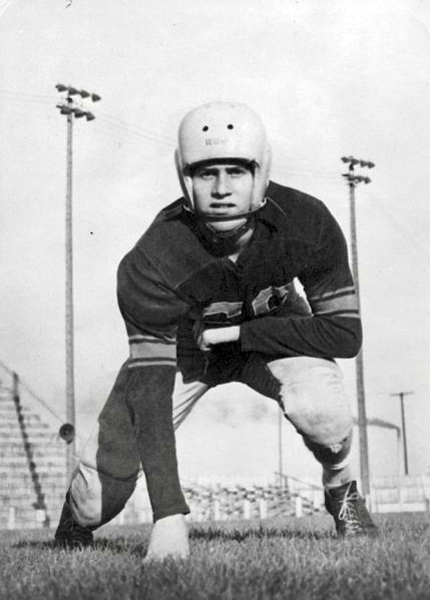 At Marinette High, John also lettered in varsity track (the mile), basketball (point guard), and football (halfback), the sport that led him to play in Green Bay’s Lambeau Field against crosstown rival Menominee High in one edition of the long-running “M&M” game. “I almost ran the kickoff into the end zone!” he recalls. After a year at Carthage College in Kenosha, John started as a process engineer with Allen-Bradley and stayed with the manufacturing company for nearly 40 years, launching a part-time janitorial service so he could put all three of his sons through college. When he “retired” at age 59, he picked up another job at Canplast in Greensboro, North Carolina, where he had long since relocated, to pass the time … and ended up working there for another two decades, just for the heck of it. By the time he actually called it quits at age 80 in 2016, he capped off a fulfilling career marked by nonstop hustle—on and off the clock. Despite working long hours and side jobs to support his family, John’s commitment to staying active never wavered. “All that time, I ran three miles a day,” he says. You can always make time for fitness, no matter how busy you are, he adds. 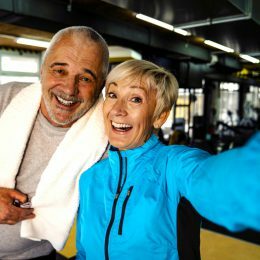 That’s why, when John punched out for the last time, he didn’t retreat to the golf course or a poolside cabana to enjoy his newfound freedom—he used the extra hours to become even more of a gym rat. Then it’s on to the gym. John belongs to A.C.T. by Deese in Greensboro, where he knows practically every member. (And if he doesn’t, “I’ll always introduce myself,” he says.) First in his daily regimen is one mile on the treadmill, “just to get running,” and from there anything can happen. He does yoga, isometrics, jump rope, SilverSneakers classes, and even dance fitness, he says. John will tell you that working out for the sake of self-improvement is nice, but exercising when there are stakes can be even sweeter. He rekindled his old love of beating, well, everyone when he signed up for the 2015 Greensboro Senior Games on a whim. “I saw slips for the event hanging up at the gym, so I figured why not?” John says. That year, he only entered two events: the 100- and 200-meter dashes. Though he came in second in the 100, “I really beat ’em up in the 200,” he says. In the 2016 Games, he participated in a whopping 18 events, including cycling and swimming, and handily won most of them. “I had 13 golds and two silvers.” No big deal. 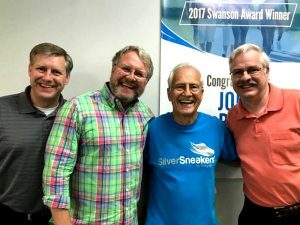 For his achievements, John was named a finalist for the 2017 Richard L. Swanson Inspiration Award, given to a SilverSneakers member who has improved their life through fitness. He says it was an honor to be recognized, and he’s using the spotlight to motivate others. “It’s my job to encourage my fellow athletic people to exercise more,” John says. And when he isn’t pounding the pavement or flexing his green thumb, he sings tenor in his barbershop chorus, carves wood sculptures in his garage (he’s working on a full-size swan at the moment), takes ballroom dancing lessons, studies genealogy, and is even heading back to work at his son’s new art gallery. (Oh yeah, did we mention he’s an oil painter?) “I guess I’m a pretty busy guy,” he says. 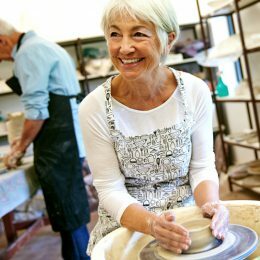 With a jam-packed schedule and a zest for living well, John Berg isn’t in much of a hurry to slow down. Want More Inspiring Stories and Tips?